As recreational water monitoring programs wind down in several locations across North America, many continue to run year round. States such as California, Florida, and Texas all offer beautiful beach weather year round, and that means the organizations that serve them continue their monitoring efforts across the calendar. We are thrilled to announce one of those groups as our newest Swim Guide Affiliate. 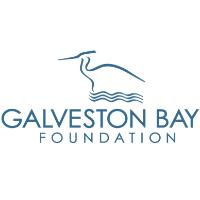 Located in Houston, Texas, the Galveston Bay Foundation has been a local water leader for over 30 years, and we couldn’t be more thrilled to welcome them to the Swim Guide family. Their work spans four main areas. Through their advocacy programs, the Foundation serves as a leading voice in the public review of numerous projects in and around the Bay. Through conservation work, the Foundation focuses on wetlands preservation and restoration. Primarily designed for children and youth, the Foundation’s educational programming aims to provide science-based environmental education specific to Galveston Bay. Finally, through several research initiatives, the Galveston Bay Foundation conducts extensive habitat and water quality monitoring across the bay’s ecosystem. Their recreational water quality monitoring program is a monthly, volunteer-led program that monitors 35 near-shore locations around the bay. Located off the Texan side of the Gulf of Mexico just south of Houston, Galveston Bay is the 7th largest estuary in the United States. The Bay has been an important waterbody throughout Texas’ history, serving as the site of the first major settlement in Texas, and continuing to this day as the major port for the Greater Houston area. Spanning approximately 965 km2 (600 mi2), Galveston Bay’s humid subtropical climate and mix of water sources makes for a diverse wetland ecosystem. Marine life includes crabs, shrimp, oysters, and a wide variety of fish which have fuelled a vibrant fishing industry for decades. In deeper parts of the bay bottlenose dolphins can be found. Recreationally, Galveston Bay has long been a popular swimming location, known for sandy beaches and warm waters. Kayaking and fishing are also popular activities.